The Alarm.com app makes it easy to manage your smart home or monitor your business with everything connected into a single, intuitive interface. 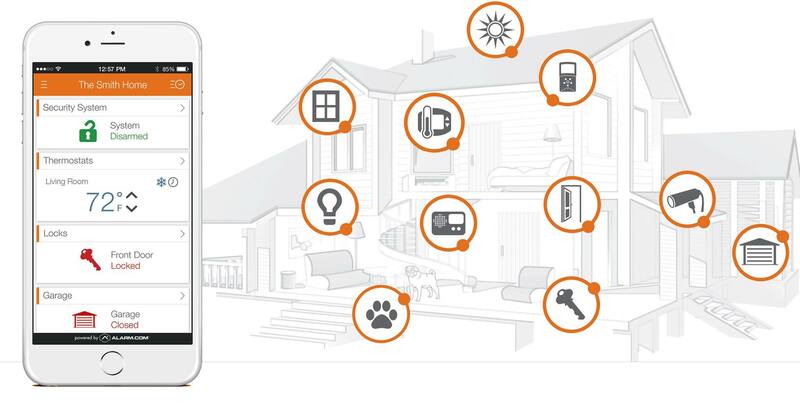 Trusted by millions, the Alarm.com app integrates your security system, connected devices and more into a reliable, easy and smart experience. Control your whole home from a single screen. Whether you’re at work, on vacation or just relaxing in front of the TV, Alarm.com’s mobile app puts your home’s security, access and comfort at your fingertips. Secure your home, dim the lights, view alerts, watch live video and even answer the door with just a few clicks on your mobile device or tablet. 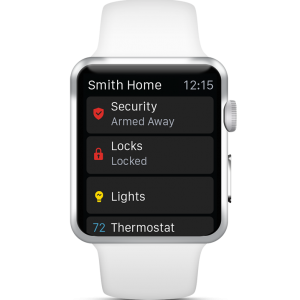 Our Alarm.com app for Apple Watch uses quick, light interactions to make controlling your smart home as easy as checking the time. 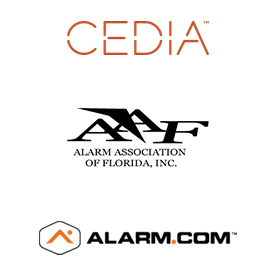 Control your security system, locks, lights, garage door and thermostats, watch video and get alerts right from your watch without the need to bring out your phone. 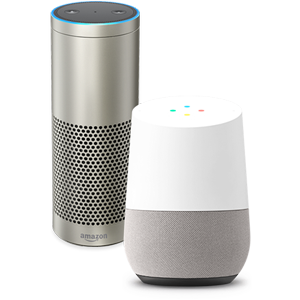 The Alarm.com app brings the convenience of voice control to your home through Amazon Alexa and Google Home. Just ask, and you can arm your security system, change the temperature, turn your living room lights off or lock all the doors in your house. Get important activity notifications at any time, not just when there’s an emergency, with customizable text, push notifications and email alerts. See who has armed or disarmed the system — even get a photo of the activity from your surveillance cameras. Know if motion is detected or if a specific door or window is opened or left ajar when it shouldn’t be.